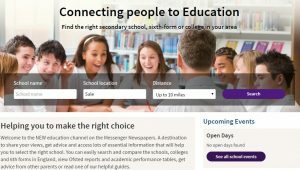 Regional publisher Newsquest has launched a new schools information portal across its 160 UK websites. The Education channel aggregates Ofsted inspection reports and league table results for schools, as well as providing a calendar of school events, a statement from the headteacher, school brochures and an embedded school Twitter feed. Take a look at an example of the new portal here.